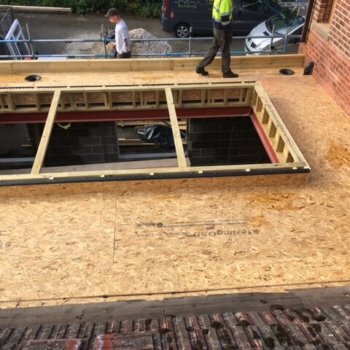 New flat roof required to extension including skylight. 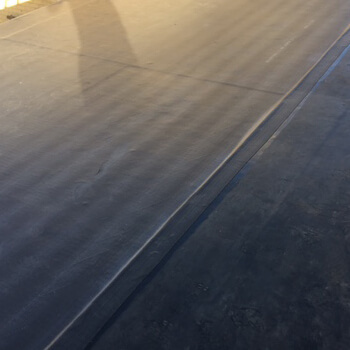 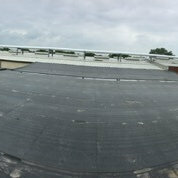 New EPDM Rubberbond flat roofing system installed. 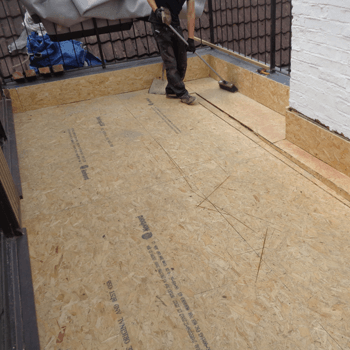 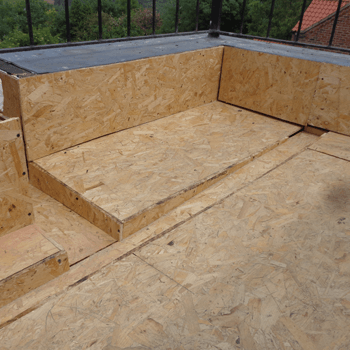 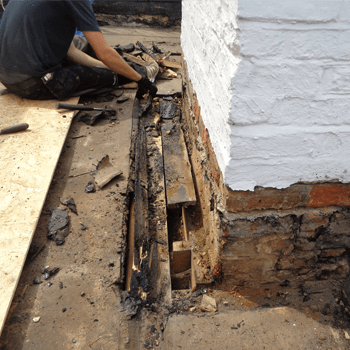 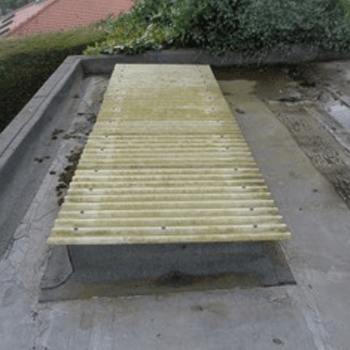 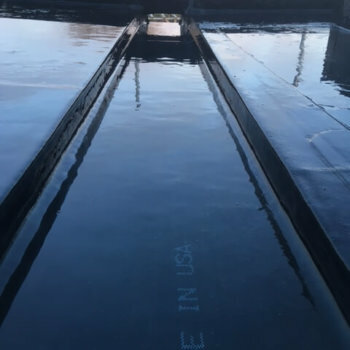 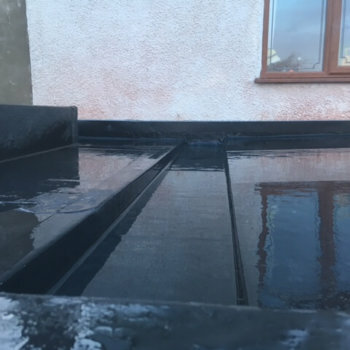 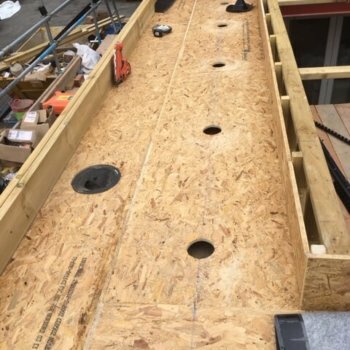 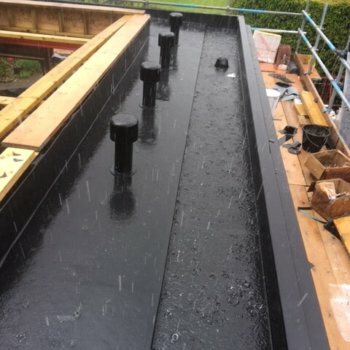 All boarding including joinery work in order that gullies can be created in order to channel water effectively away from the roof, in order to avoid standing water. 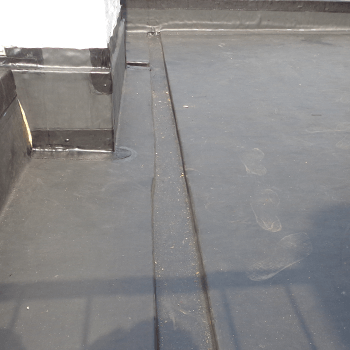 EPDM rubberbond flat roofing system then installed. 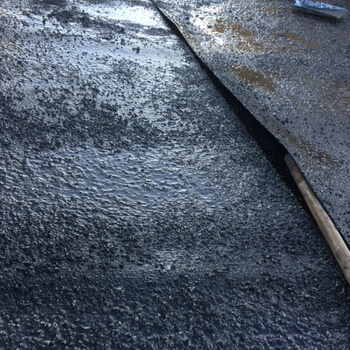 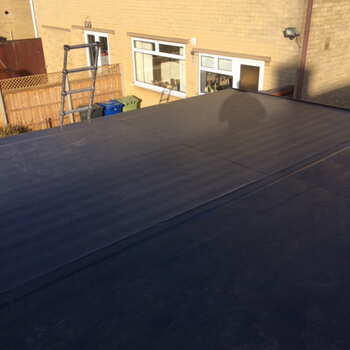 Existing garage felt flat roof was leaking due to felt lifting and causing water ingress. 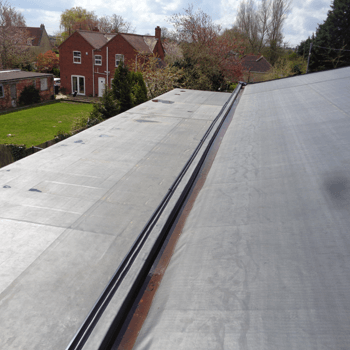 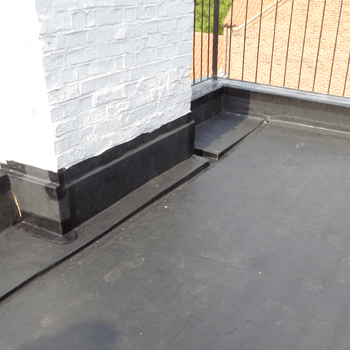 New EPDM rubberbond flat roof to be installed. 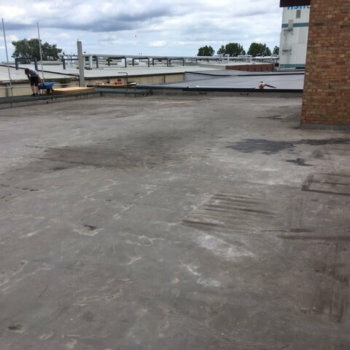 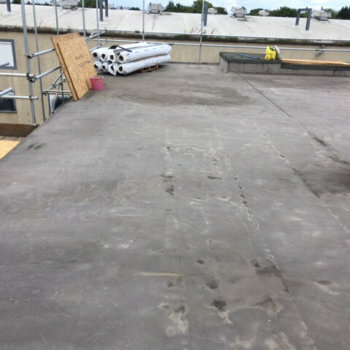 A large flat roof area on a factory premises, that was leaking badly in several areas due to roof being in bad state of repair. 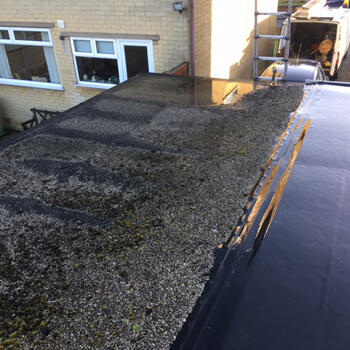 New roof was required as it was in too bad a condition to repair. 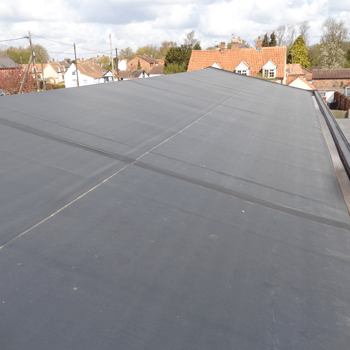 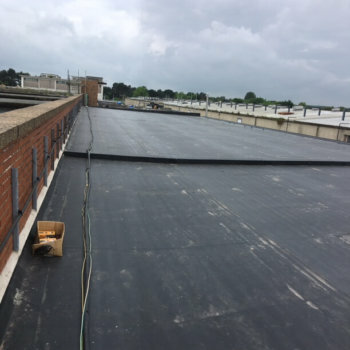 Epdm rubberbond flat roof installed to entire 1350m square area. 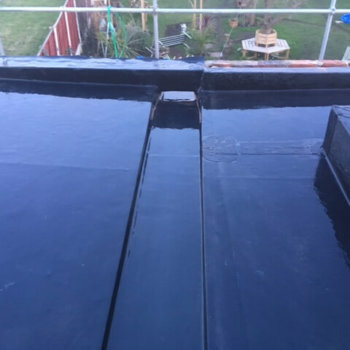 Customer very happy with the end result. 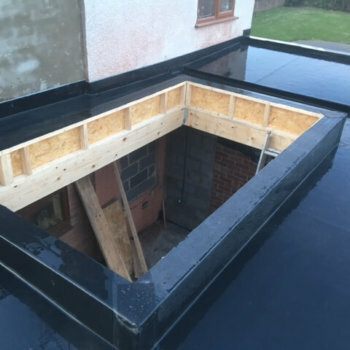 Customer needed a roof to his extension and wanted a skylight. 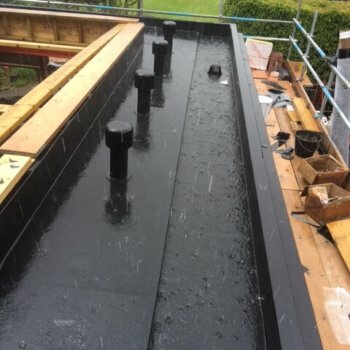 To fit a flat roof and skylight. 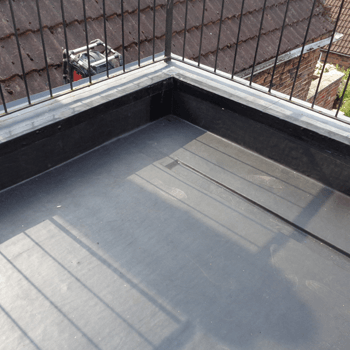 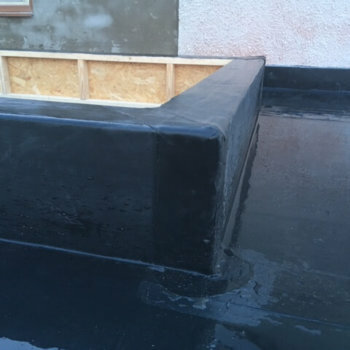 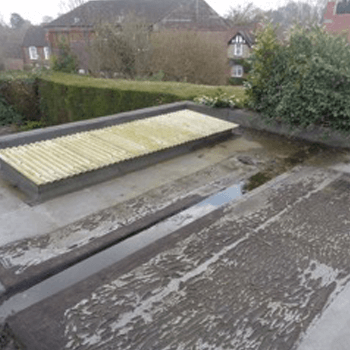 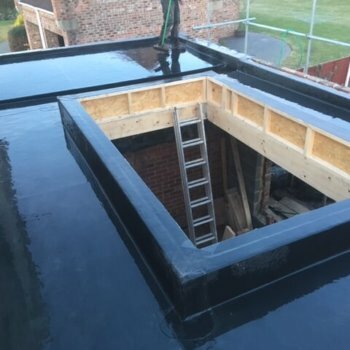 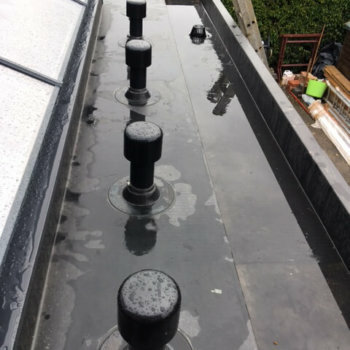 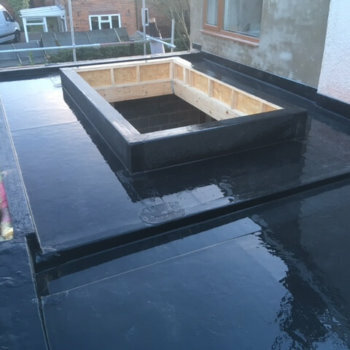 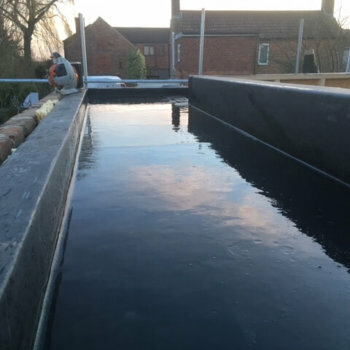 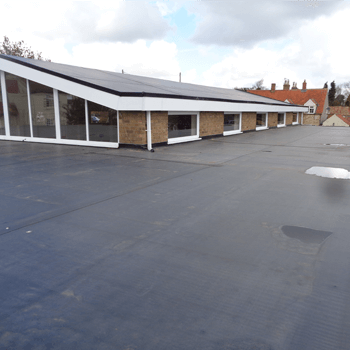 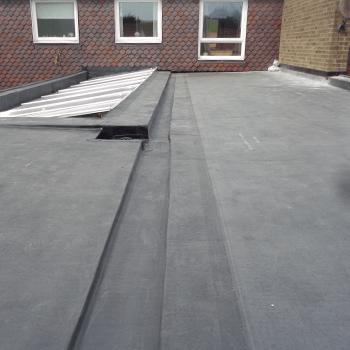 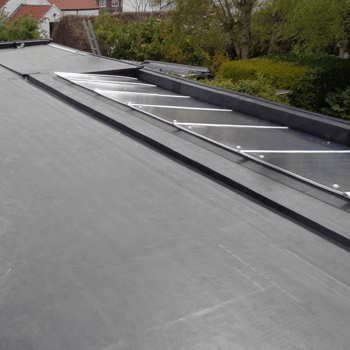 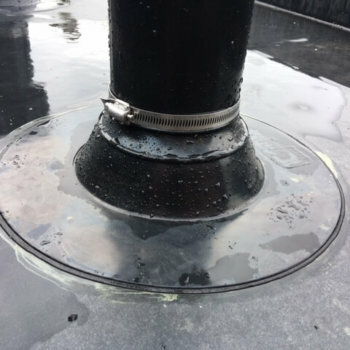 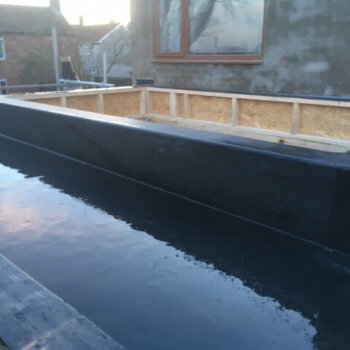 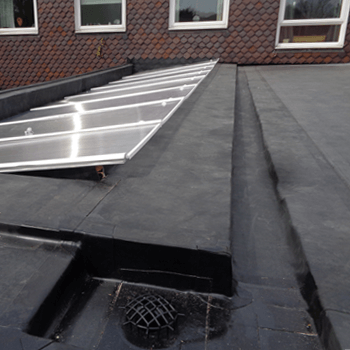 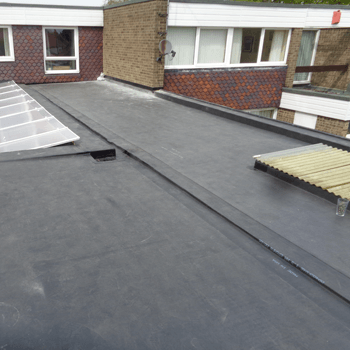 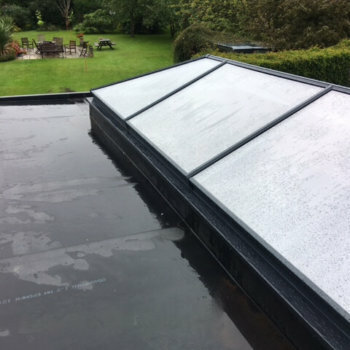 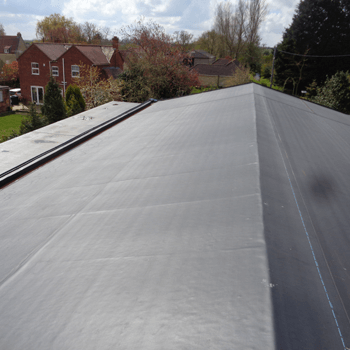 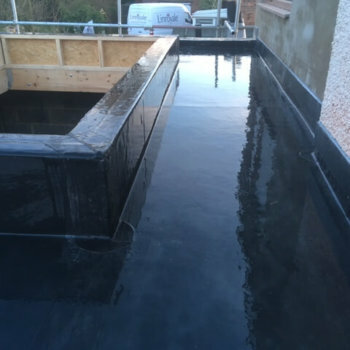 Epdm rubberbond flat roof and skylight including all joinery were both installed to extension resulting in a high quality finished result with expected lifespan of 50+ years. 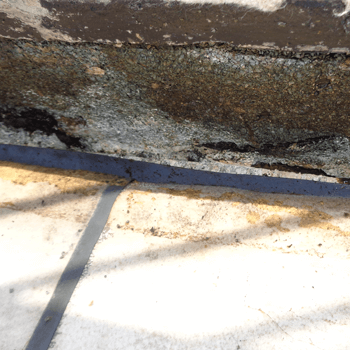 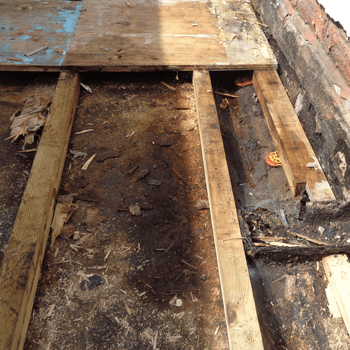 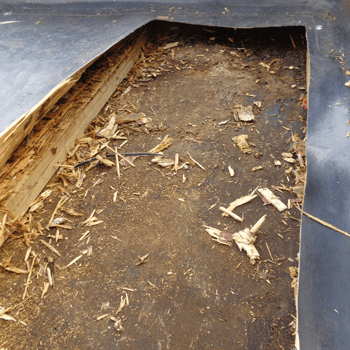 This was a poorly installed PVC membrane flat roof where condensation was rotting boarding from underneath. 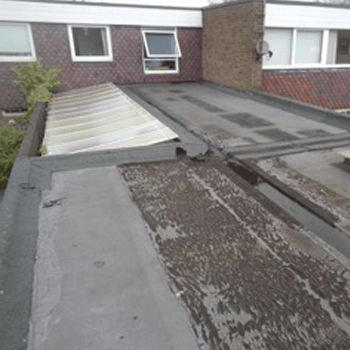 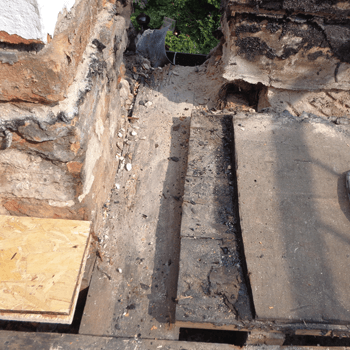 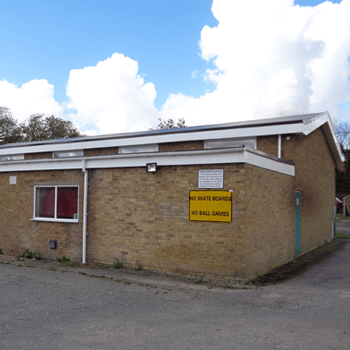 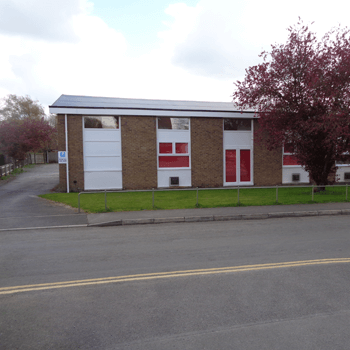 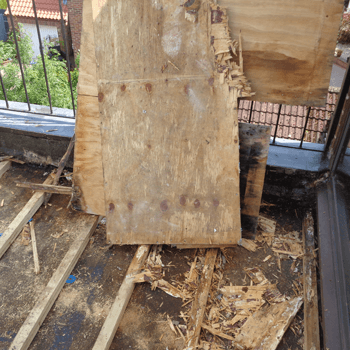 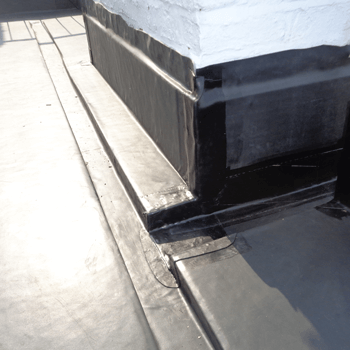 A full reroof was required in order to rectify the problem, removing the air void altogether. 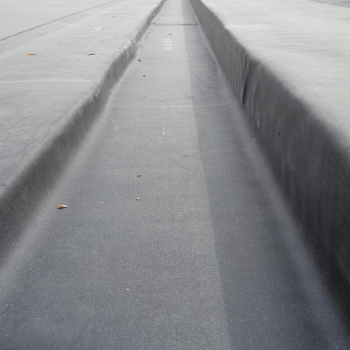 To prevent large amounts of standing water, 2 gullies were also formed in order to channel water off the roof efficiently.